Whether it's a bath, toilet, pint of beer, sink or sea, liquid damage can mean game over for a mobile phone. If yours has come into contact with liquid, no matter how brief (including "I took it straight out" scenarios) follow these steps for your best chance of success. If you have an airing cupboard, pop it in there for a couple of days. We've found that a gradual heat is best; blasting it with a hairdryer can sometimes do more harm than good, especially to the battery. 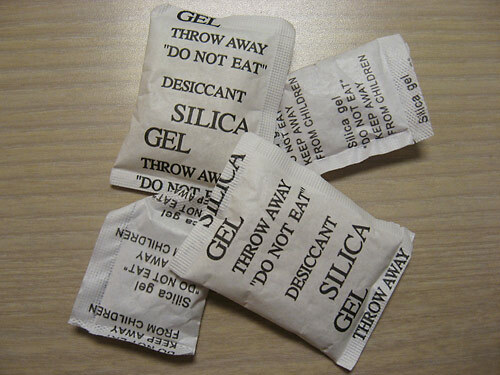 If you have some silica gel bags, pack some of those around any openings to draw moisture out. Putting your phone in a bowl of rice for an hour will likely not do anything other than jam your charging port with rice! Liquid can get in phones very quickly, but getting it out again takes time. Give it a couple of days before trying to power it up. If you are lucky enough for it to switch on, back it up remotely if you can (iCloud, Google Backup etc) so that if it later dies, you at least have your information. We do offer a water damage inspection service instore for various issues ranging from a screen flicker to a completely dead device, but please be aware it can be far from a quick process. We charge a £15 Inspection Fee upfront when we book your phone in and perform a series of tests and practices that we have found to yield the best results, which includes cleaning the board and temporarily changing components to try and deduce what is causing the issue. There is often an element of guesswork involved with dead phones which involves repeatably fully dismantling and reassembling the phone, and due to the vast number we receive it can take sometimes take weeks to reach a conclusion. Unfortunately it is by no means a guaranteed service and there is always a chance you will receive a call with bad news but the Inspection Fee covers all labour; should any additional costs be incurred we'll always contact you first.